46 pupils from Y10 and Y11 visited the Worldskills UK event at Birmingham’s NEC arena. Here they visited employment, further education and skills based stalls. 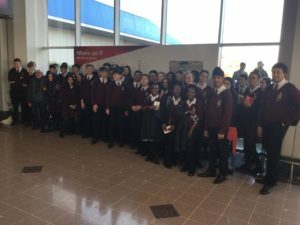 The interactive activities, intelligent discussions, informative presentations and guidance will have helped the pupils become more aware of the opportunities that are available to them and the best approach in order to get there.